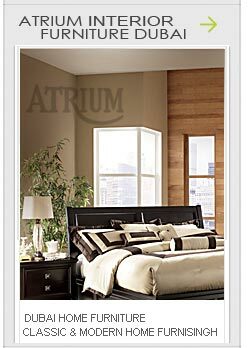 Furniture industry is quite an important industry in the world. And we count Italian furniture among the trendiest of all furniture makers in the world. It is no wonder that Italian furniture is also getting to be popular in Dubai, especially with the growing number of international residents. The minimalist, purist Italian furniture, with its Earth colours is celebrated and Moda Casa is among the first ambassadors that decided to take their quality lines of contemporary designs to offer them to the Dubai clientele. 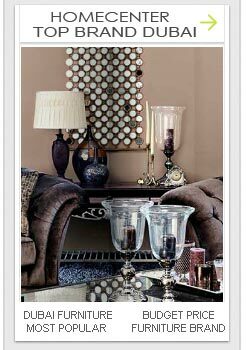 Let us see what we can get to see in the offer of Moda Casa in Dubai and what makes this brand stand out of the crowd. Dubai is becoming more and more international and with this, the arrival of international furniture brands was inevitable. Moda Casa brings its light, Mediterranean flavour of contemporary designs in Dubai, which closes out the so-popular rustic and antique furniture that are still counted among the most popular styles of furniture in the Emirates. Yet, with the Middle Eastern presence of IKEA, the market has also started to change and Dubai is more open to the new as any other places, when it comes to designing, so Moda Casa has become popular in the emirate. Moda Casa also stands out of the crowd because of its huge variety of offers. First, its one of the few brands which offer both home and office furniture in its store. Secondly, they break the local traditions of furniture brands, which somehow do not deal kitchen sets as they offer a great variety of kitchen sets of all sorts. The company also offers various types of seating options for conferences, offices and even for public waiting areas. This is a huge variety of all possible sorts of office furniture and this makes Moda Casa among the most popular office furniture providers in Dubai. As for the home furniture, the variety is a little bit more simplified as Moda Casa offers simply either living room or bedroom furniture ( with the kitchen as an alone standing category). While living room’s leading colours of sofas include black and white, the bedroom furniture represents lighter, warmer colours with its wide usage of the different shades of brown, from beige till chocolate brown, which makes their bedrooms look cosy and stylish in the same time. In the category of flooring and curtains, you will get to find a nice variety of carpets and curtain sets for both home and office use. Curtains are made out of diverse fine quality materials, such as silk, lace, satin or even velvet. Moda Casa has currently three offices in the UAE, with two showrooms located in Dubai and one in Abu Dhabi, The Dubai showrooms you can find in Deira, in the Rashid Al Majid Building along Al Salahaldin Road. In case you wish to have some quality contemporary office or home furniture, not to mention a great modern kitchen set, then do not hesitate to visit the showroom of Moda Casa, in Dubai. Moda Casa has currently three offices in the UAE, with two showrooms located in Dubai and one in Abu Dhabi, The Dubai showrooms you can find in Deira, in the Rashid Al Majid Building along Al Salahaldin Road. In case you wish to have some quality contemporary office or home furniture, not to mention a great modern kitchen set, then do not hesitate to visit the showroom of Moda Casa, in Dubai.